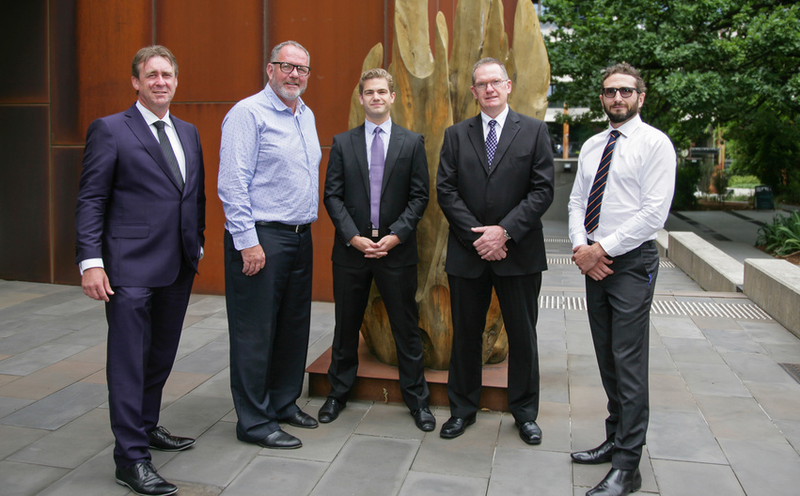 Vantage Strata executive team (left to right) – Paul Powderly, Peter Maloney, Chris Miller, Robin Marks and Rupert Cullen. The property landscape in Canberra is changing. We’ve always had one of the lowest population densities of all major cities in Australia, however demand for apartments and townhouses is increasing, as affordability for land in suburbs close to the city decreases. But it’s not just about location. Rather than a 1000m2 block of land to care for, many “new age” Canberra property buyers are looking to invest in communal precincts, where owning a property also provides access to a suite of amenities such as a shared pool, gym, concierge and BBQ areas, and internal cafes, restaurants and shops. Developers are responding, with an increase in expansive multi-use developments across Canberra such as New Acton, Kingston Foreshore, Campbell 5 and the planned Section 200 in Belconnen. Though exciting for buyers, the sheer size and complexity of these residential and commercial precincts presents a problem. More than just ensuring a leaky roof is fixed, a dangerous tree is removed, or the bins are collected, property owners are progressively seeking to delegate strata management responsibilities to companies who understand their unique needs. It was this realisation that led a group of seasoned property experts to join forces and create Canberra’s first strata company specialising in the management of large scale residential, commercial and mixed-use buildings: Vantage Strata. “Strata management in the ACT has evolved from servicing simple unit and townhouse estates to catering to large, campus style developments with complex needs,” says Chris Miller, Managing Director of Vantage Strata. Vantage Strata combines both facilities management (the maintenance of the building and amenities) with strata management (administration, financial and communication on behalf of the owners) to provide a complete solution. Because all four directors are experts in residential and commercial property and strata management, they have a holistic understanding of how to effectively manage the precincts. Chris grew up in Canberra, and landed his first job as a strata manager 12 years ago. Not quite knowing what the job entailed, he recounts that it took a month to figure out what he did – but since then has never looked back. After spending a few years in Sydney working in strata business development, he returned to Canberra to broaden his understanding of the industry as a licensed commercial real estate agent. His love for strata remained, and he kept a foot in the door consulting to numerous companies and taking on the role of President of Strata Community Australia. Born and bred in Maringo (20 minutes out of Young) Peter Maloney moved to “the big smoke” right after graduating school and has lived here ever since. After working in retail and then as a landscape gardener for four years, it was while laying turf on the lawns of parliament at age 23 that he decided to pursue his passion in real estate. After nine years of working as an agent, Peter opened Maloney’s Real Estate in Kingston, which is now in its 21st year. Paul grew up in Young and moved to Canberra 32 years ago. Not long after, he landed a job as a trainee valuer with Colliers International (specialists in commercial real estate), working his way to Director and then Chief Executive. Rupert grew up on a farm in New Zealand and studied for a Bachelor of Property (majoring in asset management) after finishing school. He’s since worked in New Zealand, the UK and Hong Kong within property management, and moved to Canberra 6 years ago as part of his role with Colliers International. To learn more, visit Vantage Strata or call Chris Miller on 0400 376 208.